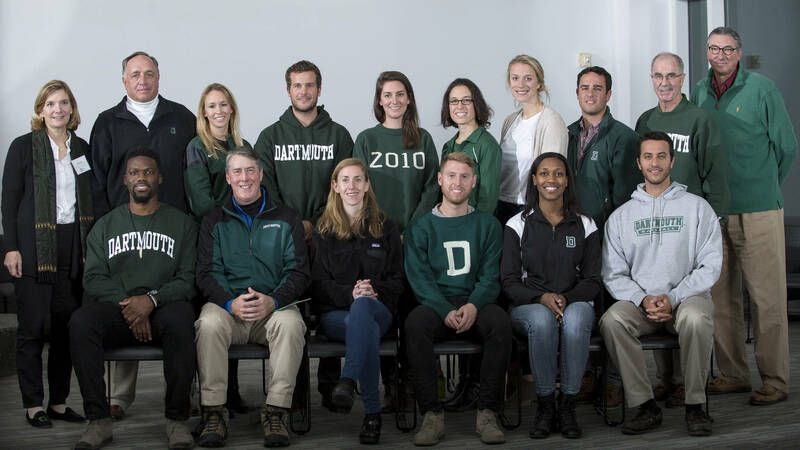 Dartmouth College and the Department of Athletics and Recreation inducted 17 new members into the Wearers of the Green in a ceremony after the homecoming football game on October 29. More than 100 people gathered at the Top of the Hop to honor the induction class, including Dartmouth President Philip Hanlon ’77 and Athletics Director Harry Sheehy ’55a. Dartmouth Athletics covered the ceremony and has a list of the 17 incredible athletes who were honored. Read more at Dartmouth Athletics.